The Education Secretary, Michael Gove, has been approving the sale of school sports fields to property developers at a staggering rate — leaving a generation of British children with nowhere to play. He is now on the verge of approving the sale of school fields at Elliott School in Putney — the latest in a string of 21 sales under his stewardship. This will turn almost half of the school’s grounds into luxury residential apartments. 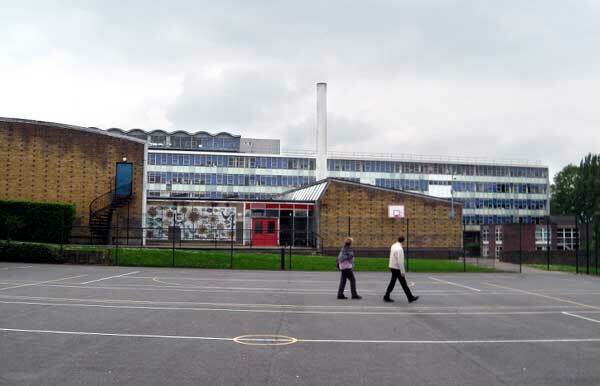 In November 2011 Wandsworth Council announced plans to convert Elliott School into an academy. They have asked Michael Gove to approve the demolition of the grade II listed sports hall and technology facility, and are planning to fund the conversion by selling off four acres of the school’s playing fields. The local community is mobilising against the sale, and a strong national outcry supporting their campaign may force the Education Secretary to back down and save these school fields. Please sign the Elliott School e-petition, and share it with everyone you know. 100,000 signatures should be enough to trigger a debate in Parliament. There is a separate e-petition addressed to Michael Gove, calling on him to reject the application from Wandsworth Council for permission to sell the Elliott School playing fields. We urge you to sign this also. Despite the Coalition’s promise to halt the sale of school land, and a pledge from David Cameron to prioritise school sports after the Olympics, the students at Elliott School are just the latest victims in a series of government broken promises. This is a government that would rather sell precious outdoor space to fund vital school maintenance, than invest in education. Elliott School is a Grade II Listed Building. English Heritage has called it one of the finest schools built by the London County Council, and the government’s own heritage listing acknowledges that its’ unique landscape is a key part of this heritage — the very landscape Michael Gove now wants to sell off. However, with the recent intense focus on school sports following the Olympics, the government has come under increasing pressure. Despite earlier messages that they would approve the sale, David Cameron has now insisted that no decision has yet been taken. A national outcry may ensure that these school playing fields are saved, and a line drawn in the sand against any future sales. Please sign the Elliott School petition and share it with everyone you know.